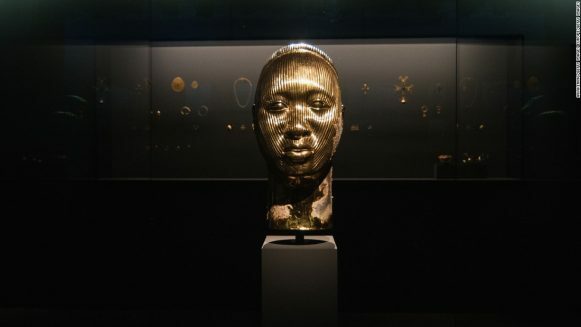 Following his recent exhibition, Treasures from the Wreck of the Unbelievable, which opened at the beginning of May 2017 in Venice at the Palazzo Grassi and Punta della Dogana (two museums owned by the billionaire collector Francois Pinault), Hirst has cemented his name in history as an artist with one of the biggest solo exhibitions in the world. Not only is this show vast but also the most expensive collection by a single artist. One hundred and eighty-nine artworks made out of precious materials like silver, gold, marble, and crystals fill the two grandiose art spaces. This is not the first of his great feats. 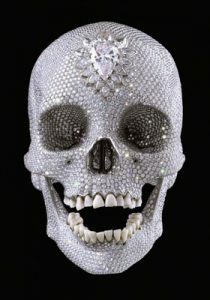 In 2008, Hirst became the first artist to take a purpose-made collection of his own works direct to auction. At Sotheby’s that September, Hirst shattered the world record making more than £111 million for the two days his art was under the hammer. Tell me if this is not genius or not courageous! With over 90 solo exhibitions, 300 group shows, 6000 artworks, Hirst has done it all, from kitsch to conceptual, installations, sculptures, paintings and drawings exploring the complex relationship between art, beauty, religion, science, life, and death. 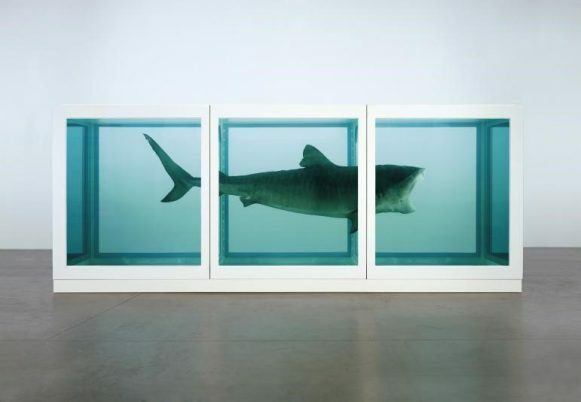 The iconic shark in formaldehyde, The Physical Impossibility of Death in the Mind of Someone Living (plate 1) and the platinum cast of a skull set with 8,601 flawless pave-set diamonds, For The Love of God (2007), are some of the major artworks that have built Hirst’s notoriety in the art world. 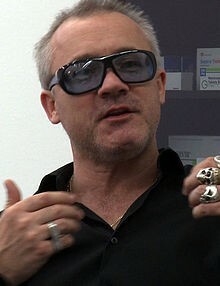 Hirst has invested large sums of money into art and no wonder his net worth is valued at 1 billion U.S dollars. Now, let us look at art with a wider angle lens, not just the painting and sculpting. Picasso was once asked the contentious question, “what is art?” to which he replied ingeniously, “what is not!”. So let’s look at making money out of art as an art in itself and a high one for that matter, because it is a very challenging one to begin with. Where do you start when selling something as luxurious as art? Something everyone can do without, not only hundreds of dollars but millions. Like I have come to say, money is the most collected artwork in the world, in simple terms. Hold that note and look at it, it is a beautifully crafted artwork that you yearn to have on a daily basis. Hirst on the other hand has mastered the craft of making art money and he is on top of the hierarchy, I mean, he is the richest artist ever! Now, you don’t just wake up and with a snap of a finger become a Damien Hirst. Rather, you have to be very hard working, with great entrepreneurial skills, excellent leadership skills (Hirst works with a team of assistants at his studio Science Limited, that helps in realizing his artwork), and a creative mind among other rare attributes. You have to be cunning, courageous, rebellious and a go-getter. All these are wrapped up in Damien Hirst to make a precious package. There is no artist, at least as far as I know, who is as accomplished as Hirst. He makes the art and can make money out of it too. Many artists have died frustrated after failing to turn their paint on canvas into bills, the Dutch master Vincent Van Gogh being one of them. Another special ingredient Hirst adds to his art is controversy. He has mastered this to create a following. It is widely known that fame and stardom cannot go without the art of controversy. Hirst has caused wagging tongues and headline news through smartly appropriating from other cultures and artists. 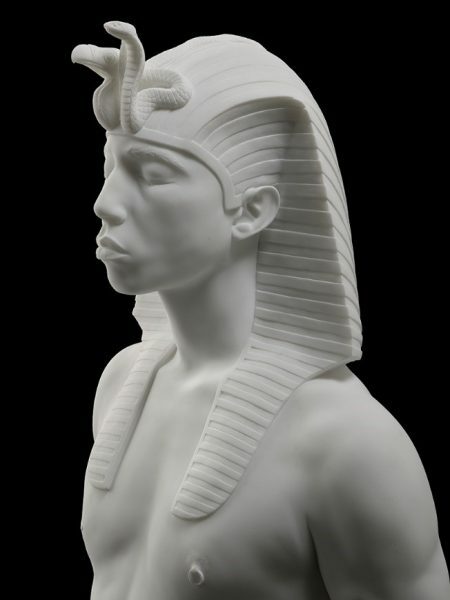 His use of expensive materials like diamonds, and the use of dead animals in his art have earned him a ‘bad boy’ status escalating his fan base, prices and garnering him prejudice from some in the public. Why should an artist live and die as a pauper? Looks like society believes and expects the artist not to live comfortably rich. A doctor or engineer doesn’t show up to work just for the love, he/she has mouths to feed and bills to pay. Why would an artist be harshly criticized for making a living out of their gift? Why should an artist want to shift the laws of living? Why should artists not stand tall and say they want to be successful and rich? Damien Hirst has answered these questions and made being an artist a true profession. He has made artists believe they can live with their madness, they can sit in a restaurant in Vegas and order caviar or lobster. When the question of the greatest artist ever arises, your mind might quickly run to the classical veteran fellows like Da Vinci, Michelangelo, Raphael and all those old masters. Well, they did their part, set the pace and invented things but their primitive ways cannot come close to the 21st century magic. Our world is more multifaceted, much faster, we should expect the average person living now to be more complex, informed, and more intelligent than the earlier human. So why then should a 15th century artist be better than the 21st century one? Just imagine the sight of Hirst and his assistants, equipped with the machinery and working away on a gold sculpture in one corner and then Michelangelo armed with his chisel and mallet in the other corner. Hirst and his team would make Michelangelo look like a toddler toying around. 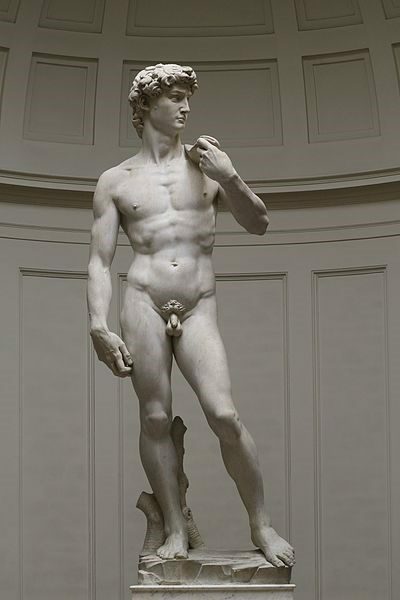 I used to think the greatest artist would be one of the 20th century giants. Pablo Picasso, Salvador Dali, Andy Warhol and Jean-Michel Basquiat would clog my mind. My favourite amongst this lot being Dali. The Spanish bull lived and breathed surrealism which I regard to be the highest movement in art of that century. Surrealism balanced the two major components of art, aesthetics and concept. The creativity expressed in the works of Max Ernst, Yves Tanguy, Rene Magritte and others is mind-blowing. But still, all these artists have not shaken the art world with the magnitude Hirst has. To break it to you simply, Hirst is living the Salvador Dali and Picasso’s dream. 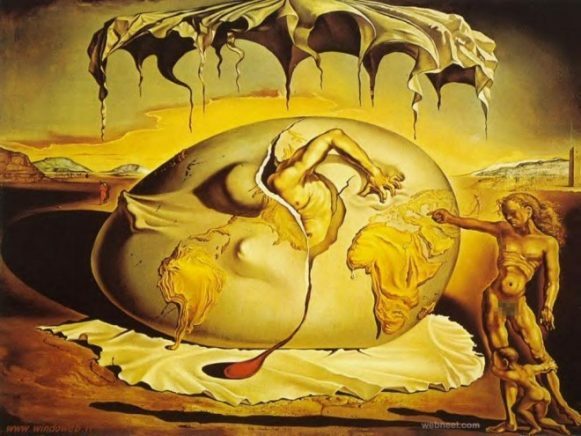 Dali wanted to make a lot of money as an artist which he candidly spoke about. Picasso on the other hand was not frank on what he wanted to achieve as an artist but his hard work and large collection of works left behind clearly says he wanted to be the top artist. 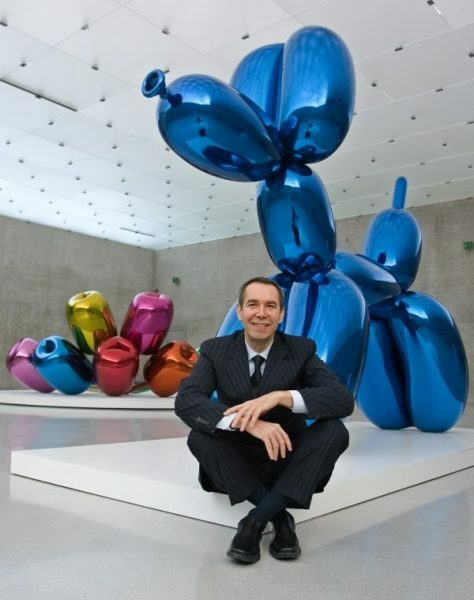 A potential rival of Hirst would be his American contemporary, Jeff Koons. Koons, like Hirst, has made substantial sums of money and built a name for himself. His inflated-looking shiny sculptures have fetched millions of dollars at art auctions but his power doesn’t come close to the Briton’s. Koons work is so much more aesthetically inclined and less conceptually packaged. He has always said his toy-like goodies have no meaning behind them to the point that his work has been described as “banal” by art critics. So he scores lower than Hirst for not satisfying the two ends in art. So you better be an ARTIST than be an artist. However non-conformist or individualistic we always want to be, there is a system we cannot outrun. We just have to be the system, beat the system, become kings of the system like Hirst. Don’t you want to become the next Damien Hirst? Or do you think this is capitalist nonsense? 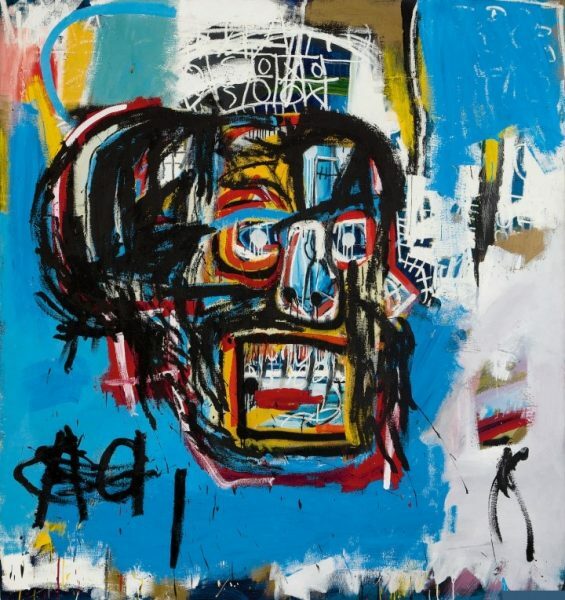 Whatever your case, he has gotten his name in the history books and influenced the art world and some of us. As an artist, I have developed an interest in consumerism, commercialism and capitalism and their relation and influence to art, society and humanity. This is why I put my fingers on the keyboard about this. I will not stop here; I am exploring these notions in my upcoming body of work that you should not miss. Matt Kayem is a contemporary artist, art critic and writer living and working in Kampala, Uganda. He can be reached via email at mattkayem@gmail.com.